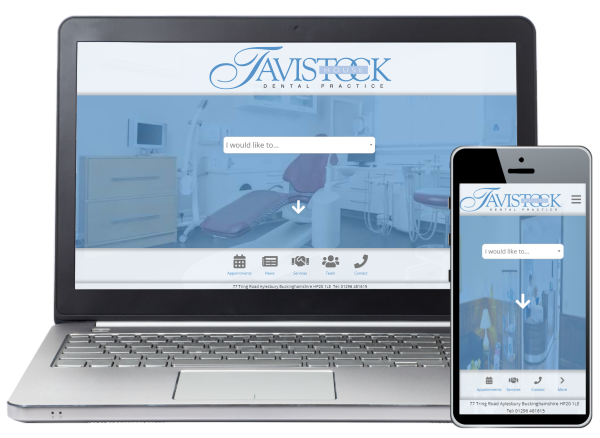 We are pleased to announce the launch of the all-new Tavistock House Dental Practice website. An appointment request form has been developed so visitors can send details of their requirements at any time of day or night at their convenience. Try it now. Mobile users now have a fully featured experience, as the new site has been designed to adapt to any device visitors choose to use. We took the most requested features of the website and made them available in just two clicks! The new query box on the homepage navigates directly based on the nature of the request. The dynamic menus aid the client in finding more in-depth information if required. We hope you enjoy using our new site and find it useful. We will be updating it regularly so do check back to keep up-to-date with the best in oral health. If you have any feedback or queries, please do contact us.